The Supreme Court on Tuesday (May 9) awarded six months’ imprisonment to Justice CS Karnan for contempt of court. The Court said that the Calcutta High Court judge be sent to jail immediately. The Court passed the order after hearing the counsel for West Bengal and other counsels on the matter. 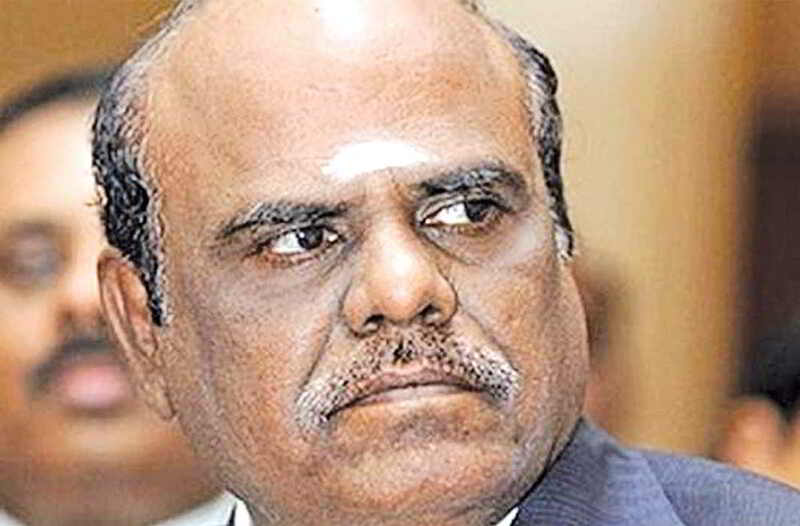 Earlier, Karnan as per media reports, had ordered Chief Justice of India JS Khehar and seven other Supreme Court judges to five years’ imprisonment on May 8, for violating the Scheduled Castes & Scheduled Tribes (Prevention of Atrocities) Act. The apex court also made it clear that any further statement made by Karnan on the issue will not be published or reported by the print or electronic media. Before delivering the verdict and at the time of hearing arguments, the CJI-headed bench noted that the medical board had gone to Karnan’s home as per court’s instructions, and it appears that the judge was hale and hearty, a fact not contradicted by the board. The CJI was also not interested to postpone legal action against Karnan till his retirement in June.